PSO2 Is Searching For Heroes In Episode 5! 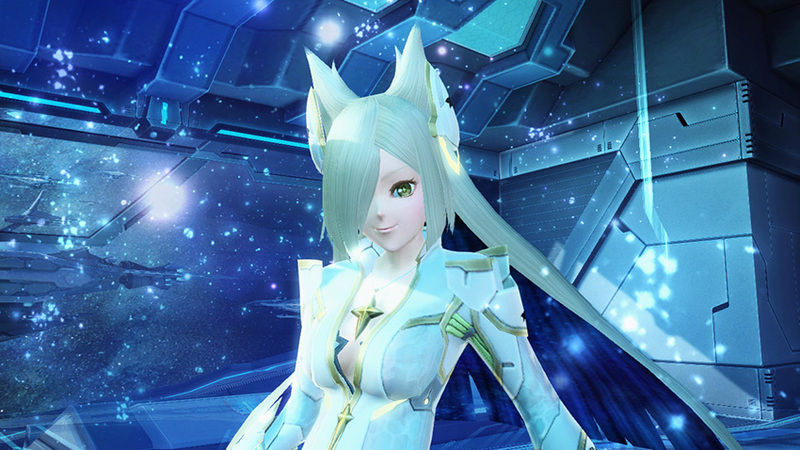 July 26th marks the momentous day when Phantasy Star Online 2’s first advanced class, “Hero,” will make its debut. 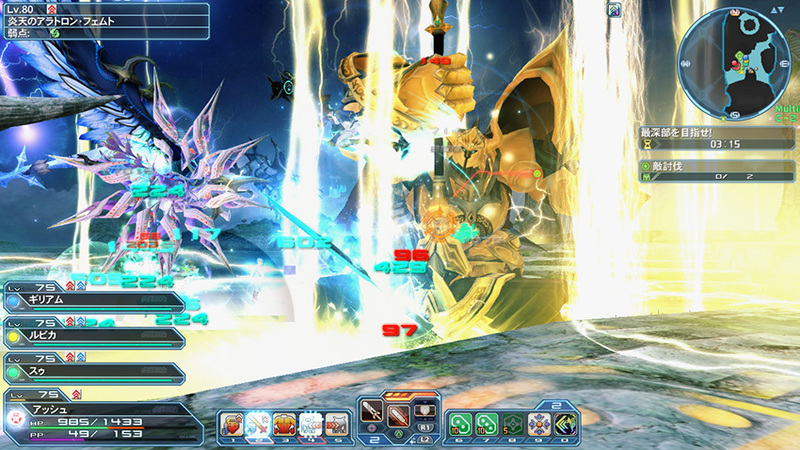 This class specializes in a unique combination of Swords, Twin Machine Guns, and Talises, offering new and exciting actions in battle. In order to become a hero, you must first clear Koffie’s “Hero Class Unlocking Trial.” This can be achieved by obtaining three Titles, each requiring level 75 in classes representing the main forms of attack. The flow for unlocking Hero’s level caps will be somewhat different from normal. Apart from the usual “level limit unlocking trials,” Hero will have exclusive level capping condition(s). Polish your skills with the class to achieve new heights. In addition, Hero is available only as a main class; it will not allow the setting of a subclass. Wielding a sword as a Hero will change the weapon’s behavior. 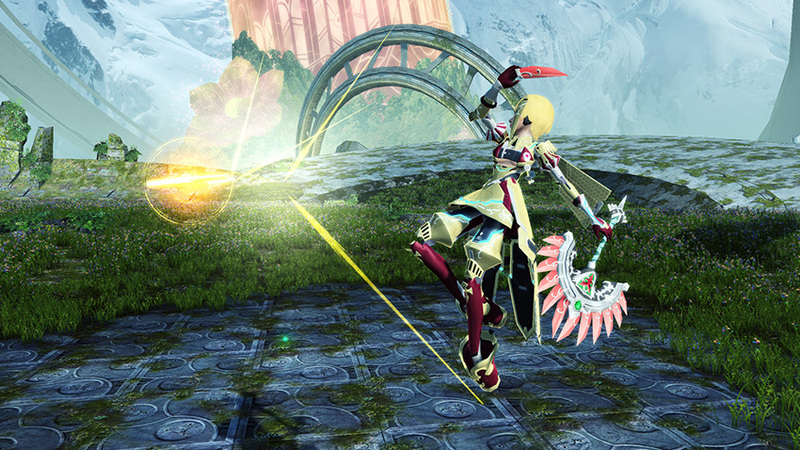 Not only is it swift with a wider attack range, but it will also unlock a different weapon action. Through this comes the “energy blast,” unleashing fireballs from the palm of the user’s hand. Hold the action button to release a larger blast. 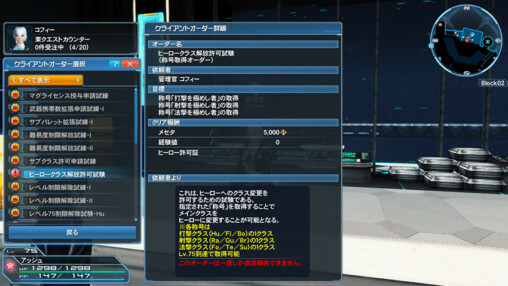 Twin Machine Guns will also change, resulting in long distance combat and rapid fire attacks. 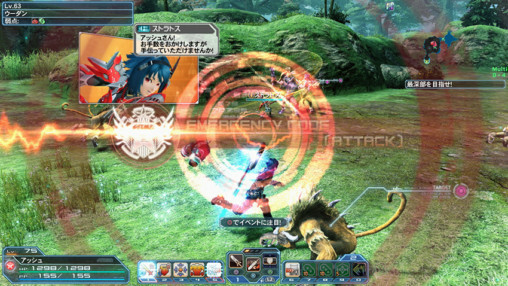 In particular, it will experience an increase in firepower now that basic attacks consume PP. 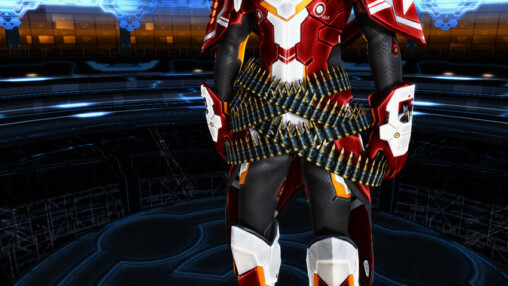 This can be restored, however, through the “reloading” weapon action. Talises will also perform differently in the hands of a Hero. 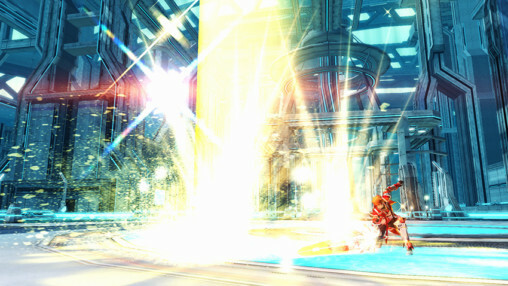 For the first time, they can utilize Photon Arts! 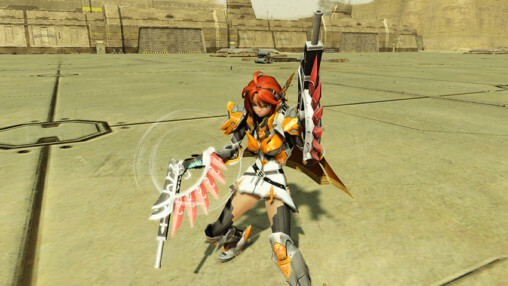 Its “agile shift” weapon action will allow the player to fire a “marker” in any direction and instantly teleport to its location. The main skill of note is [Hero Gear / Hero Time]. Utilizing a variety of attacks will help to increase the [Hero Gear] gauge. Once the gauge fills, you can activate [Hero Time]. 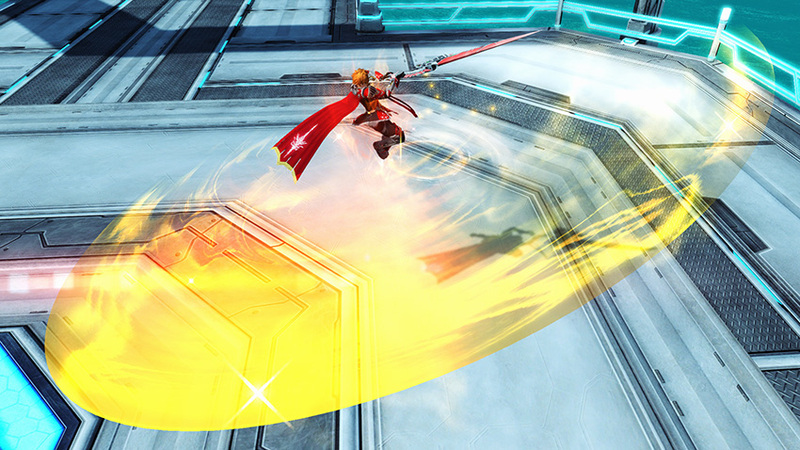 During this effect, your attack power will rise as your attacks hit the enemy. Activating [Hero Time] again will trigger a finishing move unique to each weapon type. The last major feature is its weapon switchable PAs. This allows the class to switch between the three weapon types on the fly. For example, holding the PA button for “Vapor Bullet” allows the weapon to switch from Sword to Twin Machine Guns. 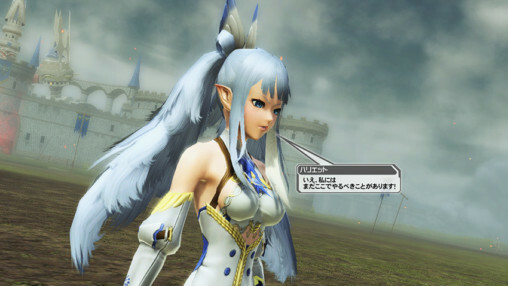 Stratos will appear in the Gate Area, serving as a guide for the Hero class. Pick up her client orders in order to earn skill points for the class, and to gain access to her partner card. 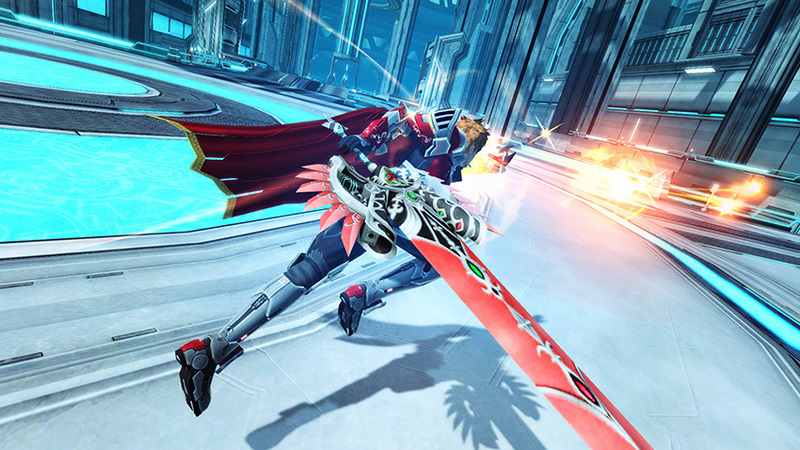 Stratos can also randomly appear in Emergency Trials on all Free Fields. Heroes will also have their own training quest. Through [Hero Basics], you can learn and practice the different characteristics of each weapon type. 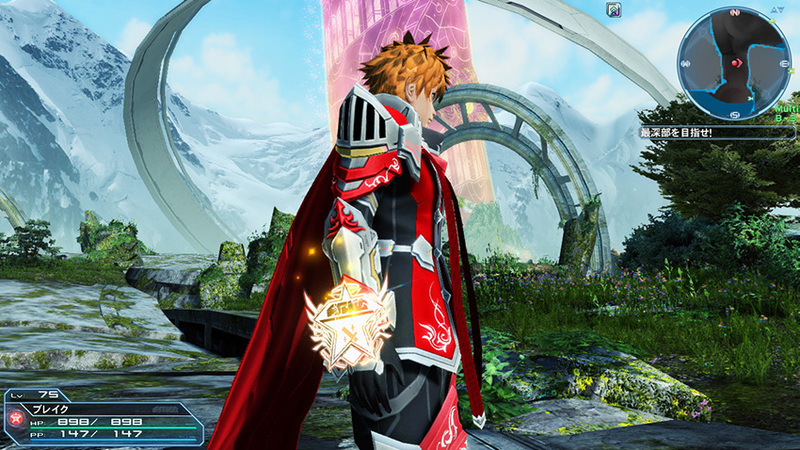 A new skill ring for Hero will be added to the Skill Ring Shop. Material Storage is a new feature that can store items classified under [Order Items / Materials]. This feature can be purchased as a 30/90 day rental from the AC Shop. The storage can also store a maximum of 65,000 pieces of a single item. 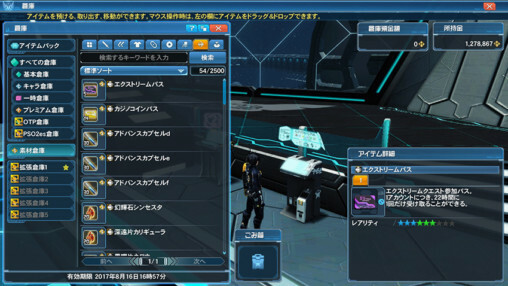 Only materials from the Item Pack can be transferred to the Material Storage. New players need not be plagued by worry and confusion at which skills they should learn. Let Sega do the work for you with the new Recommended Skill Tree setting! Once selected, it will automatically assign skill points to skills they recommend. This feature gives you the option to match up with players from other blocks. In turn, you’ll be able to put less time and effort into finding players wanting to run the same quest. The accessory slider currently snaps to 15 ticks along a path. In order to allow for more precise placement of accessories, the number of ticks will increase to a whopping 253! This will not affect the slider’s overall range, however. You can now equip a single accessory several times. 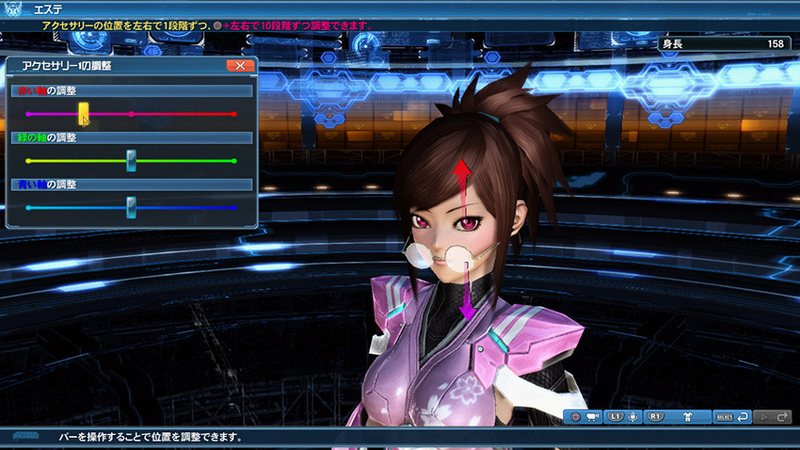 Adjustment of each accessory helps to further expand the breadth of PSO2’s character creation. 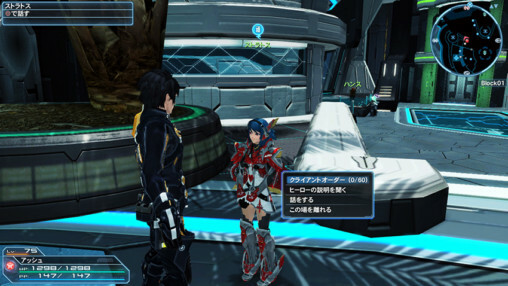 Using the same ticket for two characters on your account, will enable that product to be used on the entire account. This will also come into effect for tickets used in this manner prior to the update. 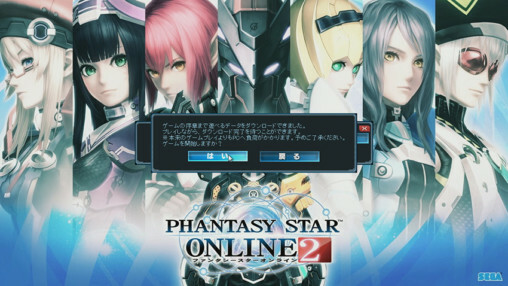 First time downloaders of the PC version can now play the prologue section of the game while the game continues installing. 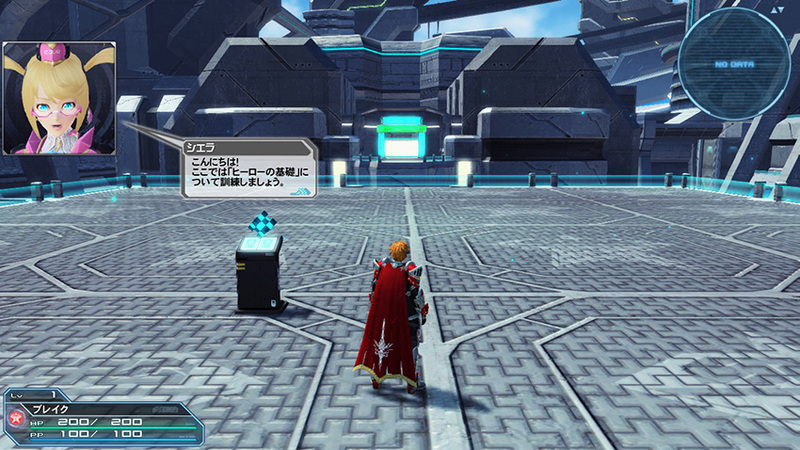 The Recycle Shop can now be accessed in the Camp Ship, prior to and after completing a quest. Koffie’s [Free Exploration] and [Exploration Request] orders will no longer have time limits nor material gathering requirements. In addition, the client order will instantly clear if you cleared the quest prior to accepting the order. 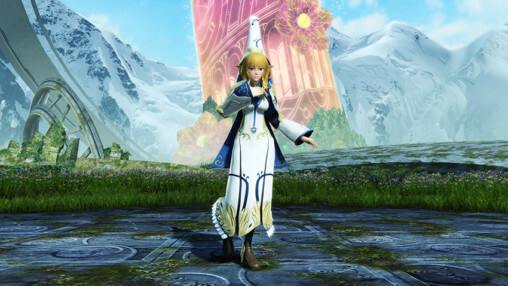 Skill Point Client Orders will slightly alter their requirements to target enemies that appear in specific areas within Free Fields and Arks Quests. Sofia and Yerkes orders will now unlock when traveling to Franca’s Cafe for the first time. Revelle will receive new client orders that target ESC-A Darkers. Weaponoid potentials will be added to Serata Crane, Fire Arms, and Zanba. 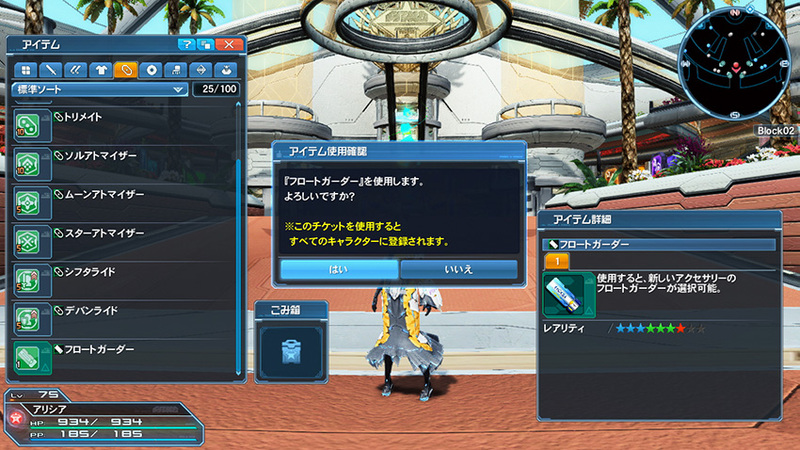 These can be unlocked by obtaining weaponoid boosters from PSO2es. A variety of balance adjustments will be applied to each class. 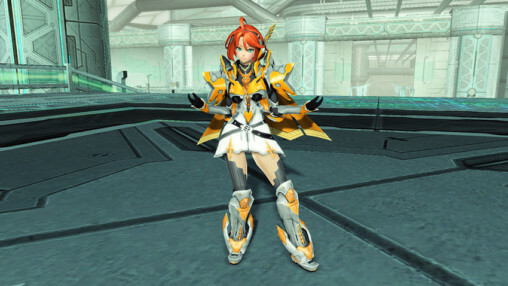 Some client orders from Franca, Revelle, Hans, and Kressida will have relaxed enemy level and enemy count requirements. In addition, some client orders will receive higher rewards. 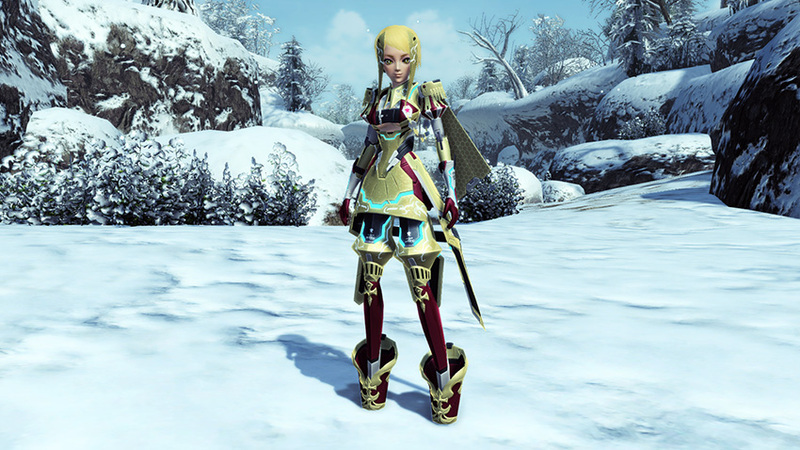 My Set presets will expand to allow three additional slots. The CC Carryout Limit will change from 30,000 to 10,000,000. 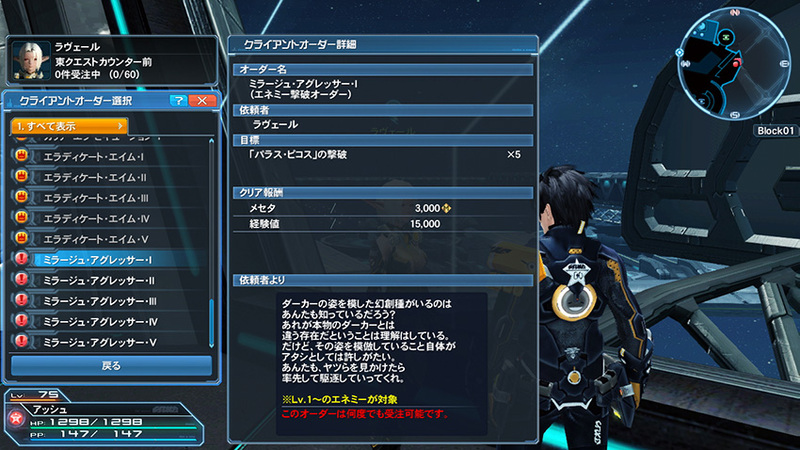 Removed the level restrictions for selling and trading Photon Art and Technic disks. The release of Episode 5 draws near, taking the ARKS to the parallel world of Omega; a war-torn world of medieval fantasy. 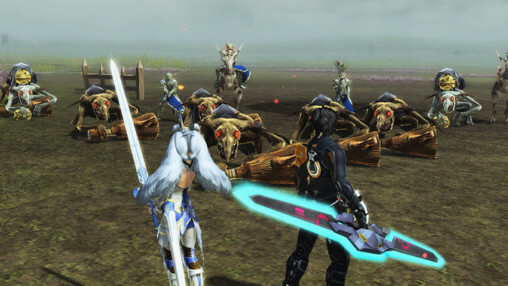 Arriving in this world of endless conflict, our hero aids a young woman hounded by soldiers and demons. A black hole suddenly materialized at the origin of the universe, expanding at an extraordinary rate. It’s only a matter of time before it swallows all. 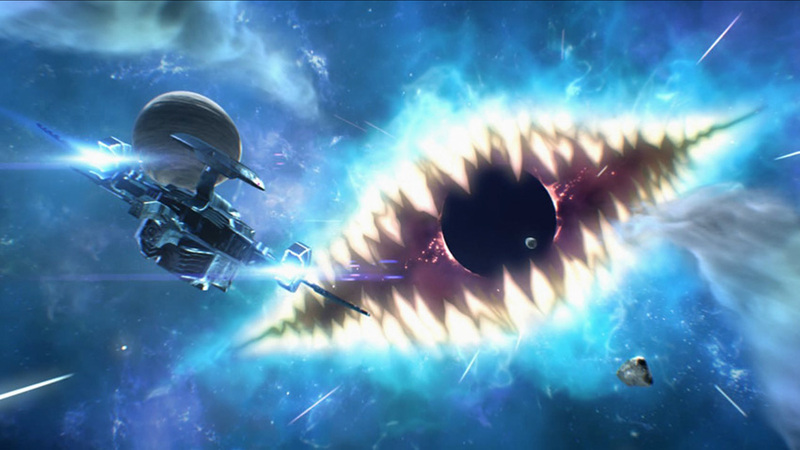 To prevent the worst case scenario, the ARKS travel to Omega, a dream derived of the Akashic Record. To avoid the extinction of the universe, our heroes return to Omega. They learn of Ephimera, the flower behind the endless wars! 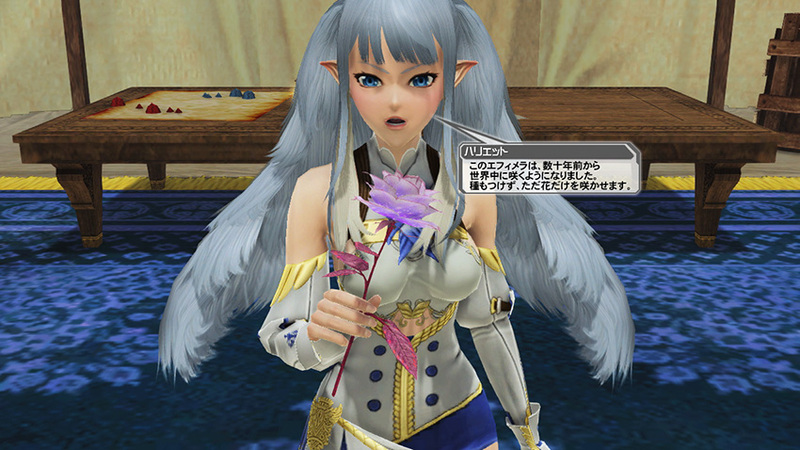 A woman of noble mien encountered by the player. The spirit of the Akashic Record. There seems to be a reason for her appearance. A lively young lass holding out for a hero. She is a member of a new tactical battle team and the founder of the Hero class. 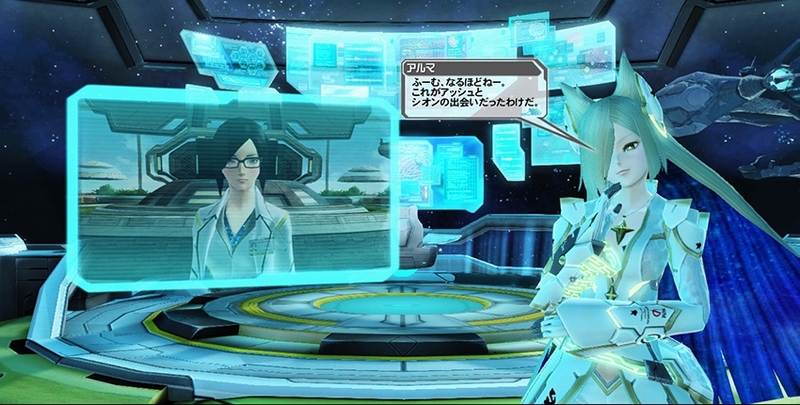 After the launch of Episode 5, players will be given two choices if they’ve viewed Story Piece [005-C]. 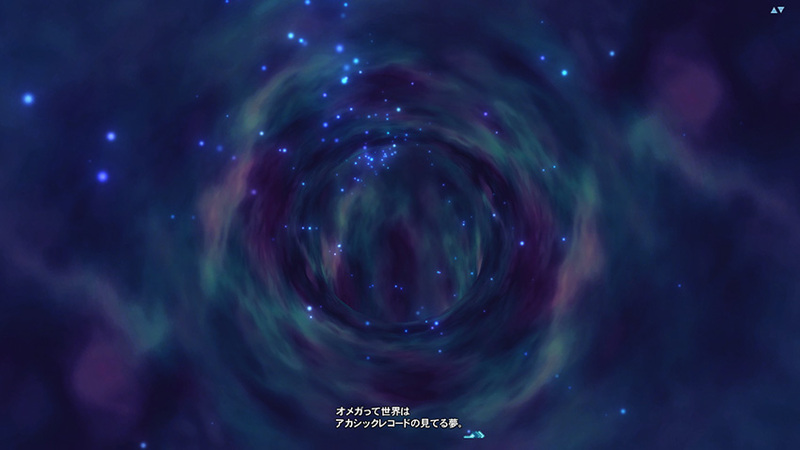 【EPISODE5】を始める: Start Episode 5 and view the prologue. 【EPISODE4】を続ける: Continue Episode 4 where you left off. You can swap between EP4 and EP5 with Xiera after clearing the start conditions of EP5. Partner Cards that release along with Episode 5 will be shared across all characters on the account. 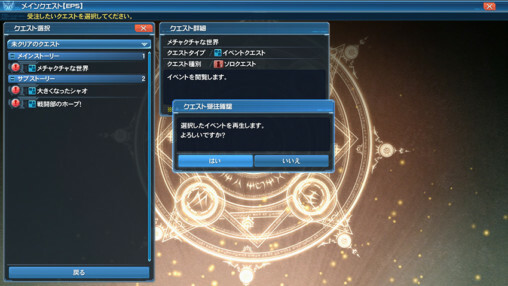 This will also include Partner Cards obtained from Omnibus Quests. 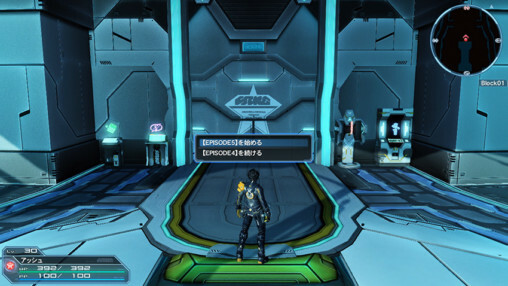 Story Events and Quests from Episode 5 can be initiated from the Quest Counter under [Main Quest (EP5)]. Furthermore, from a special screen, you can continue accepting quests without returning to the campship or lobby. Progress through the story will be shared on all characters. ※Matter Board/Story Board progress from EP 1 ~ 4 will remain as character based progress like before. Omnibus Quests will look back at the story of Episode 1 to Episode 3. It will be added sequentially, starting with Episode 1! By clearing the quest you’ll be rewarded with items from the Matterboard and newly added Titles. 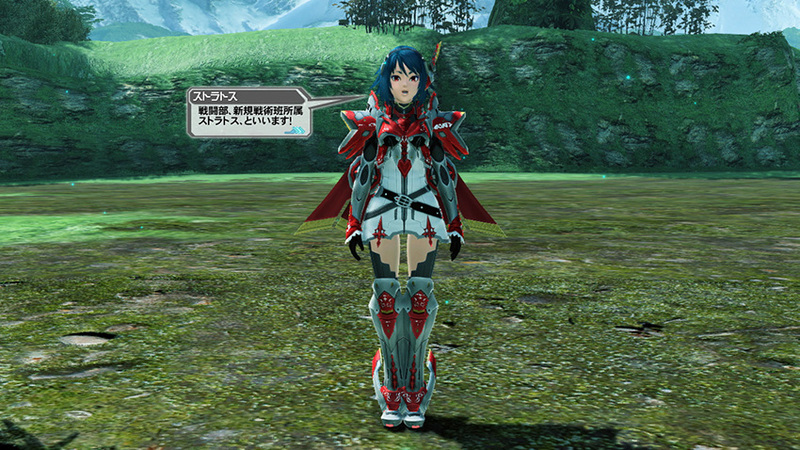 Your progress through Omnibus Quests will be shared across all characters. The return of the Summer Lobby brings us a gigantic Surfing Rappy and water slides. Cool off after a heated battle by sliding into the pool. It’s that time of the year again for the [Beach Wars] Emergency Quest. Along the way, you’ll encounter scenes that divide in two, and fighting scenes filled with traps. 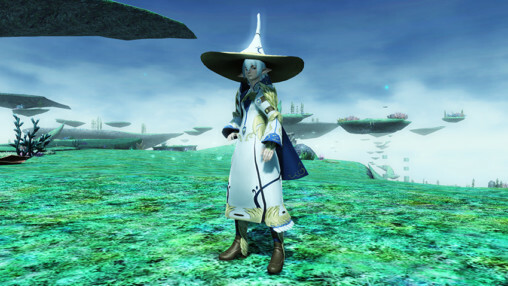 NPCs will appear during Emergency Trials in swimsuits and pirate outfits. The faster you clear the quest, the more 2017 Weapon Badge you’ll receive. At the end of the quest will appear the Storming Duo: Aratron Phemut and Gal Gryphon! Work with your teammates to defeat them! This quest also has the effect of a special PSE boost. 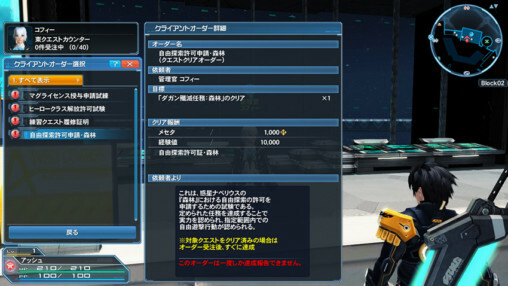 A “Costume Bonus” will apply when wearing qualifying summer costumes. 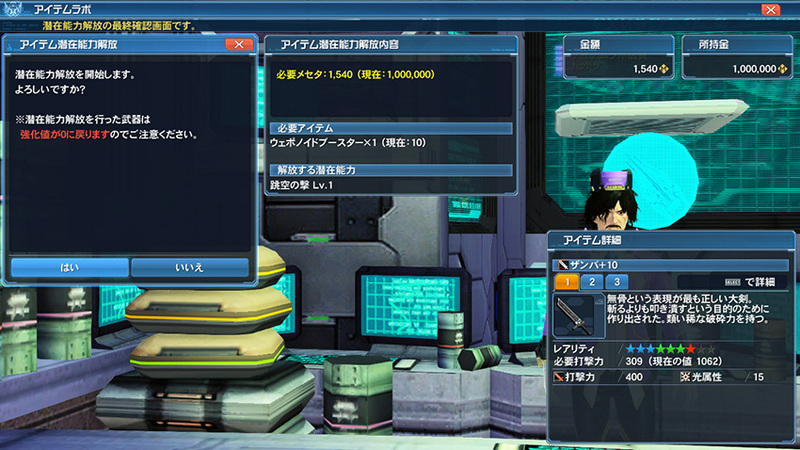 This will slightly boost the EXP gain and Rare Drop rate. [Summer 2017 Bingo] appears for a limited time along with Xie (Summer 2017). The main focus of the bingo will not only target enemies appearing in Beach Wars, but also task the player with completing Xie’s client orders. You’ll earn a variety of rewards such as 進化デバイス／波乗ニャウ (Evo. Device / Surfing Nyau)! The Beach 2017 Collection will cover [Beach Wars 2017!]. Obtain a new pair of knuckles, a rifle, or a rod from the Fornis series while enjoying the rushing waves! You also can obtain ★13 Jinga and Synchro Eggs. In the sunshine stands the yearly return of cute summer rappies! Also making an appearance is [Summer Nyau], an enemy who can withstand the sun’s powerful rays. These enemies might drop rare items when defeated. Bask in the glory of battle, equipped with Hero themed armor or the summoning cloaks of the Kingdom Cuent mages. Bring honor to the ARKS heroes in the heated struggle against the encroaching Demons! Introducing a new Scratch Prize Exchange Ticket system! Using one of the new [Scratch Exchange Tickets], you can pick an item of your choice from the catalog. These tickets are primarily gained through the Scratch Bonus. 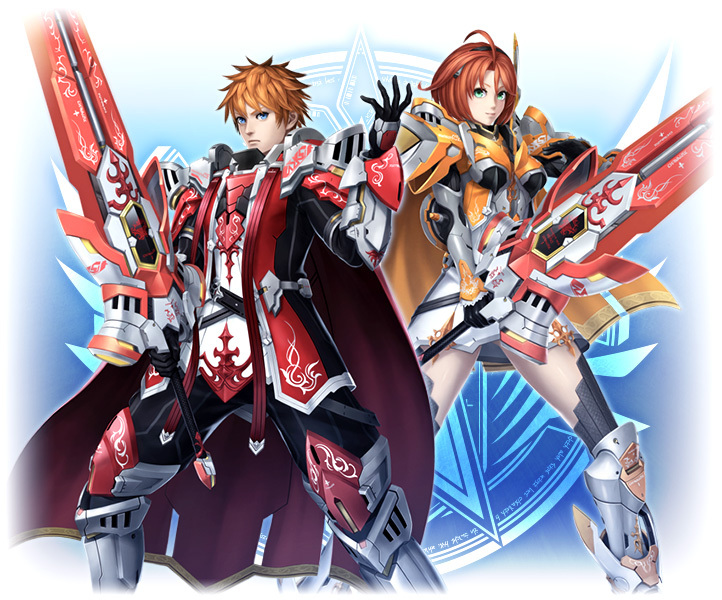 By participating in the upcoming Legendary Heroes AC Scratch, you can receive an [L Heroes Ticket]! Episode 5 will release after July 26th’s maintenance. In order to play Episode 5, you’ll need to download a patch which requires 3.1 GB of space. In addition, maintenance will occur at an earlier time than usual. Click the pink link above to convert the schedule for your timezone. it’s mean All classes must reach Level 75 !!?? 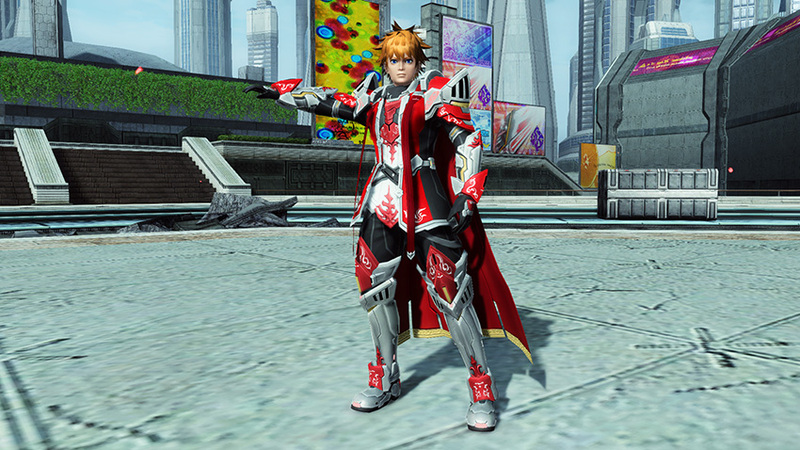 You just need to reach level 75 in one Striking, Ranged, and Tech class. Three classes in total. What if the 1st character that reached the requirements to unlock Hero (with 3 titles achieved of course) , will the following characters have their Hero class unlocked when titles are shared in the same account ?? Titles are account based, as long as the titles are attained on the account, anyone should have access to Hero. Even when the alt characters are lvl 1?? Heck, I plan to make a new char JUST to be a Hero. Each char will have to take the client order from Koffie, but because the CO is based on just having the titles, everyone on your account will pass it instantly. Granted, this is all assuming Sega doesn’t throw some massive curveball at all of us that they still haven’t told us about. Then they realized they have to level hero and all the subs to 80(75+21+5) just so they can do 80/80 crap. Feels bad when I see people write about new characters, makes me want to throw up thinking about having to get everything capped after that stupid level increase. Keys + boost week = instant 80. Could you name some quests where you can get instant Lv80? 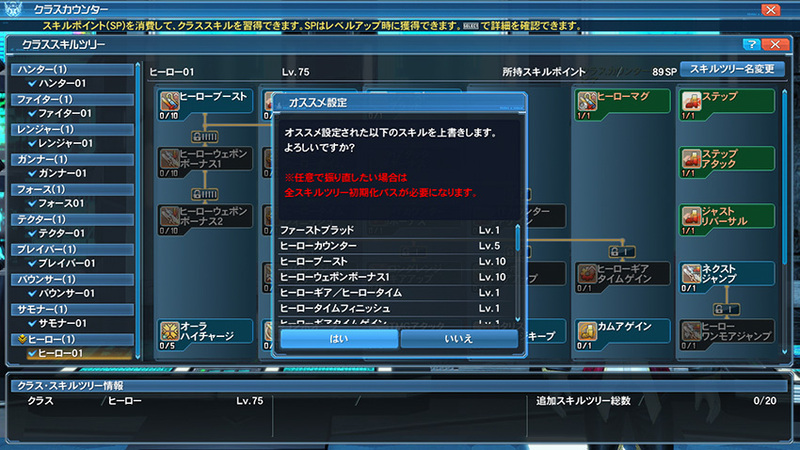 Grinding Ep 1-4 LQ for ~5 hours just to level up from 50 to 75 is way too slow for me. I would like to level up from Lv50 to Lv80 in ONE or max TWO hours. Please send help. 50 to 80 in 2 hours is impossible. If it was possible, pretty much 99%+ of the total playerbase would already be lvl80 in every single class of the game. You do not have to reach 80 in every class to enjoy the game. And no, the content that requires 80/80 is not mandatory for attaining “bis”; it’s just some extra reward. 75 on your 2 favourite classes for XH is more than enough, and that is doable within 1 month of creating a new account. You can reach level cap fast if you got lucky with gold keys and happen to land on a boost week. I stacked on 410% EXP, which equals to 820% because of boost week. Went from mid 77 to mid 80 in 2 Tokyo golds, then got a level or so off a Rappy key and half a level off the leftover silver keys. 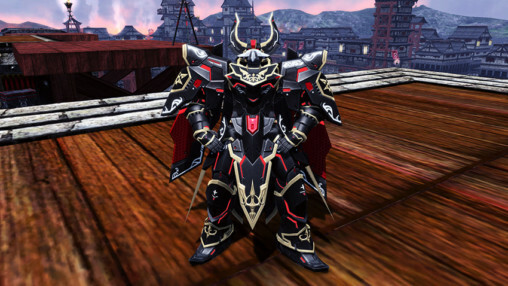 R.I.P, people trying to justify some non-existent dream where making a new char is worth it. People like me exist. To us, it is worth it, because it’s fun. You don’t need to be end-game to be PLAYING THE GAME. New char = 350 extra bank space. For us f2p players that’s an increase in the scale of over 100% to our storage capacity. They’re specifically calling this their /first/ Advanced Class, which implies there’s more on the way, right? If so, please give us something other than Bouncer than can use Dual Blades. They’re cool but that class is annoying as hell to play. 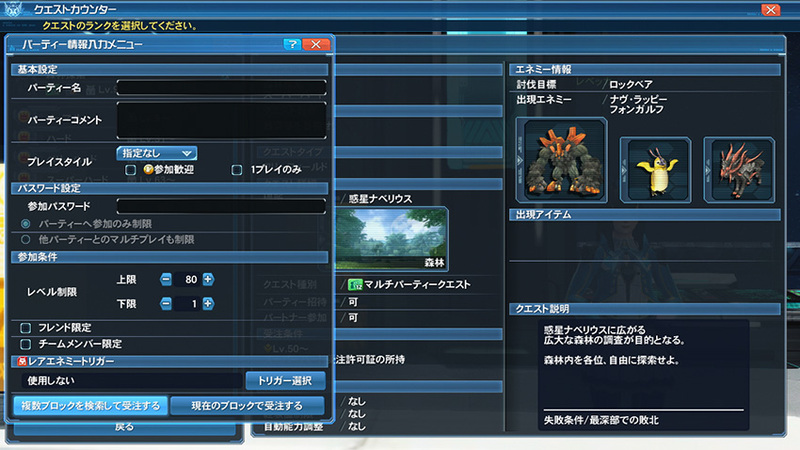 Maybe an Ambidextrous char that focuses only on using dual weapons, like DBs, TDs, TMGs and Knuckles. I’d play it. Mind clarifying the “annoying” bit? Useless (or near-useless) Break Stance or having to have a rainbow set of Dual Blade for Elemental Stance. Not everyone wants to grind the same weapon 6 times over. Make that 36 times if you want them +35. 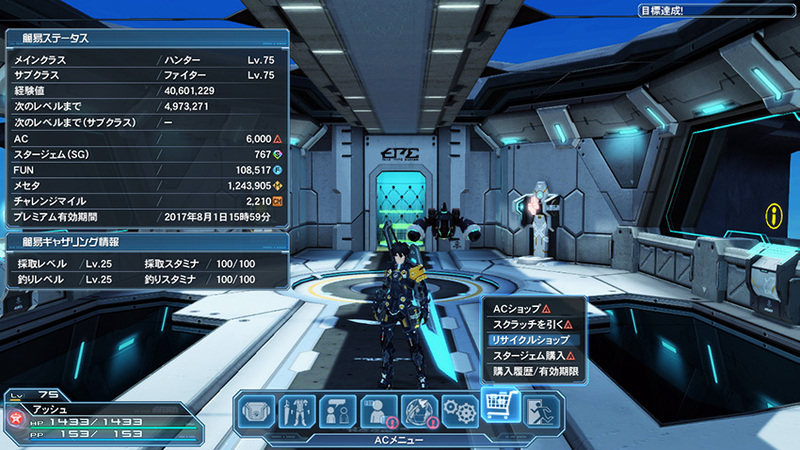 If we’re going to get more “expert” classes (上級), we better get one for each damage type. Melee better get a sword and shield. Ranged better get a shotgun or crossbow, something to target more than one spot on an enemy (if they have more than one lock on point). Tech better get slicers and whatnot. I myself really wish for a snake blade to make an entrance to the game. Just like Jet Boots, it’s a weapon you’d barely ever see elsewhere. Is this Predicting advanced classes time? I can do some of those. 1. Novice advanced class: dbsaber + rod + partisan. When all starter classes begin to severely fall behind hero, it will become unfair to make newcomers to play those. So a novice advanced class covers that, you dont have to unlock anything, and all weapons have the same long stick type PAs, so it will be easy to learn and play for anyone. 2. Wheelchair veteran class: wired lance + launcher + jboots. This is an ultimate expert class that tests your skills with most inferior weapons around. Special wheelchair stance returns your weapons to their state before episode 3, while jboots can only cast technics. 3. Exclusive psow class, dual gunslash + shotgun mode rifle + dbsaber that shoots slicers. All the weapons you were asking about since 2004, in one package. Will be scheduled to the very last episode. one character have 80-Bo and Br, and another one have 80-Fo, so can i play Hero class or need all in one character? You should be alright. Just remember to collect the appropriate titles tomorrow. Melee has about twice as many classes as ranged and tech, hence the prices.